Looking for something new and exciting to do with the kids this summer? Head on over to Island Gymnastics in West Tisbury, and experience their 24-foot rock-climbing wall. 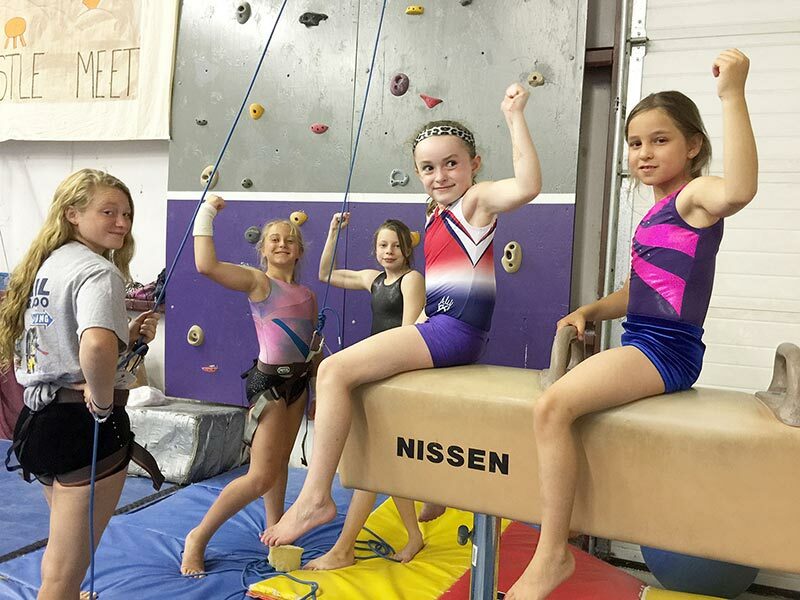 The wall was erected this spring in memory of the late John Varkonda, an integral member of the Island Gymnastics family and a lover of climbing. The rock-climbing wall is open to the public from 5 to 6:30 pm, Mondays through Fridays. Harnesses and instruction are available, and the cost is $25 for a walk-in session or $80 for four classes. Children under 18 will require a parent’s signature, and forms can be obtained in advance by emailing iflip4joy@gmail.com.